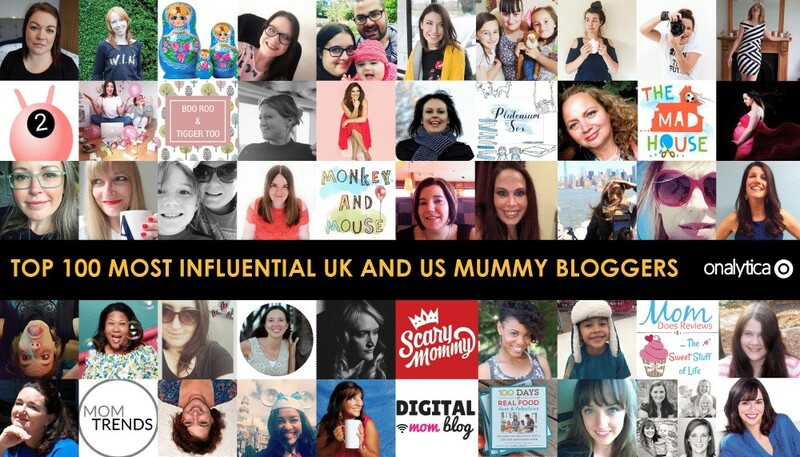 Mummy bloggers continue to command dedicated followings in their millions, and the main reason for this is readers appreciate the honesty and authenticity of their posts. A real mother, blogging about family life and giving accounts of their life with children and all that entails makes for engaging conversation. 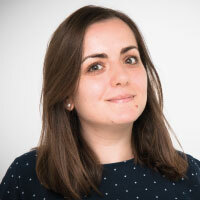 Mummy bloggers and their fans are among the most highly connected support networks of all accounts on social media and forums. For brands looking to promote their products or services Mummy bloggers are a popular, trustworthy way of spreading your message. 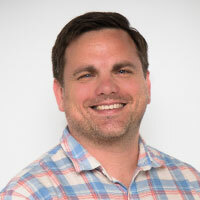 This message will be perceived in an authentic way that is more effective than traditional advertising due to the power of personal recommendation. We analysed all the posts by Mummy Bloggers from 12th June 2017 – 12th June 2018, looking at social influence as well as authority by analysing how much influencers are referenced on Twitter, Instagram, Facebook, YouTube, Forums, Blogs, News and Tumblr content. 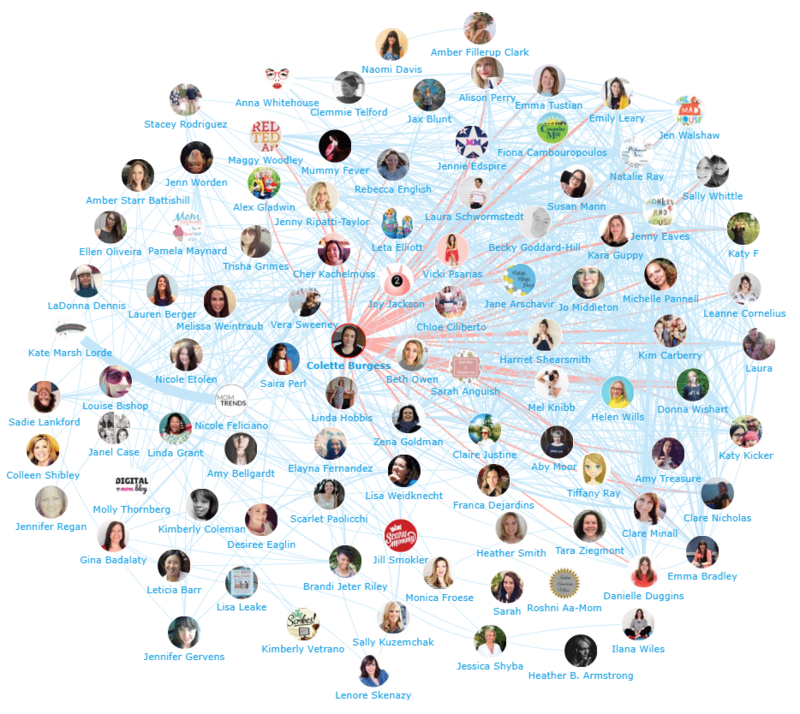 These influencers were then identified and added to our Influencer Relationship Management software (IRM) to generate the influencer rankings and network map. 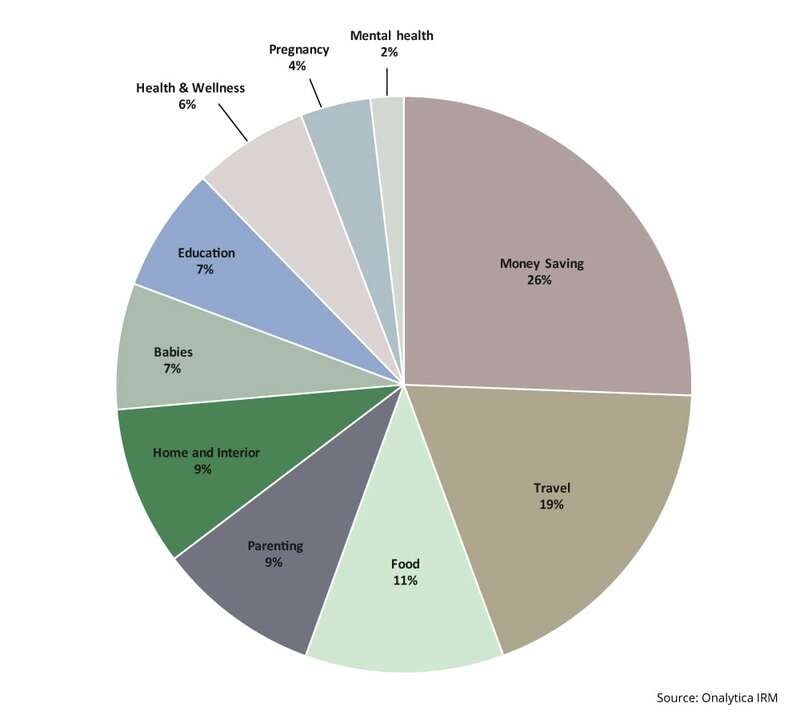 Posts about Money Saving tips, budgeting, gifts, competitions, coupons and giveaways were the most popular among the top 100 mummy bloggers with a 26% share of voice. 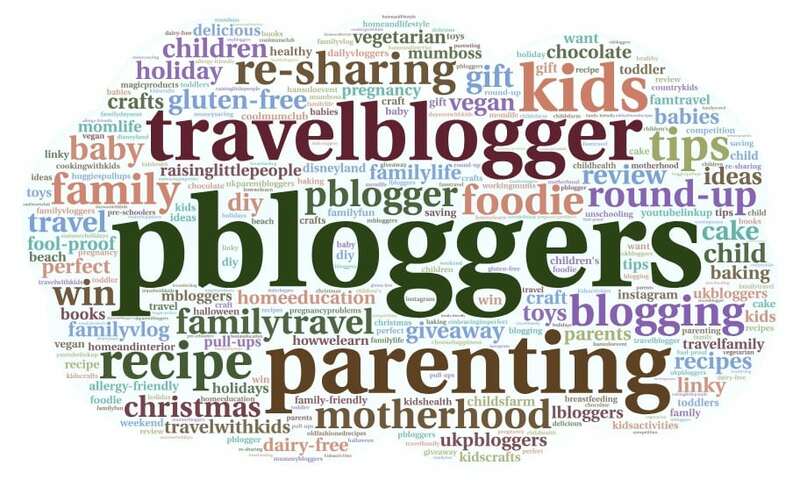 Posts on the topic of Travel were the 2nd most popular among the mummy bloggers with a 19% share of voice. Travel posts typically included reviews and recommendations for places that are child friendly, and tips on how to prepare for your holiday and what to pack. Food was the third most popular topic among the mummy bloggers. Discussions on best recipes were very popular, but interestingly we also saw an increase in posts mentioning “dairy-free”, “gluten-free” and “allergy-friendly”. Posts on food represented 11% of the whole conversation. The fourth most popular topic was Parenting with a 9% share of voice. Posts on parenting included tips on child safety, dealing with sleep problems, how to get your kids to help out around the house and nurturing healthy relationships with your children. Home and Interior was the fifth most popular topic among the mummy bloggers with posts typically focusing on ideas for home improvements, renovations, space saving tips, as well as posts about furniture and interior design. Posts on Babies counted for 7% of the overall conversation, these posts typically included mentions of early learning toys, breastfeeding, milestones (what should babies do and when), as well as practical tips such as which car seats to buy. Education posts included mentions of developmental tools such as books and apps. Home schooling was a popular area for discussion, as well as posts about helping your kids keep up to date with their school and home work. Health and Wellness posts counted for 6% of the conversation, including advice on getting the right source of vitamins and minerals, how to get a better nights sleep, fitness, losing weight and going to the doctors / dentists. Pregnancy posts were focused on child birth, how being pregnant affects your body, as well as fertility treatments such as IVF, egg freezing and stem cell collection. Finally the topic of Mental Health represented 2% of the conversations among mummy bloggers, posts typically included mentions of post-natal depression, autism in children, anxiety and stress. Below is a list of the top 25 UK Mummy Bloggers. If you want to see who ranks from 1-50 be sure to download the full report by clicking download! Below is a list of the top 25 US Mommy bloggers. If you want to see who ranks from 1-50 be sure to download the full report by clicking download! Below you can see a network map showing a sample of the online conversations between the mummy bloggers with the number 1 UK mummy blogger Colette Burgess at the centre. It’s interesting to not the strength of connections between all the mummy bloggers, irrespective of location. This map was created with our Influencer Relationship Management software (IRM). If you are interested in learning more about identifying, managing and engaging with influencers click here to get in touch! Disclaimer: As ever with these lists, it must be stressed that the ranking is by no means a definitive measurement of influence, as there is no such thing. The individuals and blogs listed here are undoubtedly influential when it comes to driving the online discussion. The PageRank based methodology we use to extract influencers on a particular topic takes into account the number and quality of contextual references that a user receives. We looked at social topical influence as well as topical authority by analyzing both their social engagement on Twitter and how much influencers were referenced on Instagram, Facebook, YouTube, Forums, Blogs, News and Tumblr content. These calculations also take in to account a user’s resonance (engagement) relevance (number of posts on topic) and reach (number of followers). If you want to learn more, please read our article that outlines How to identify your target influencers. Download this free report which reveals the top 100 most influential mummy bloggers.